The initial U.S. government assessment of the chemical attack in Syria has concluded that some type of nerve agent was used - however the specific agent used is unknown, government sources told Reuters, adding that the U.S. government "had not yet conclusively determined whether the attack was carried out by President Bashar al-Assad's Syrian government forces." The revelation makes Israel's Monday morning strike on Syrian military positions known to house Russian forces all the more troubling, as this appears to be yet another kneejerk rush by the West to conduct major foreign policy maneuvers based on contested events before all the facts are in. The answer of most Western commentators is simple -- because Assad is an irrational idiot. Following last April's Kahn Shaykhun chemical attack in Syria, President Trump notably launched 59 Tomahawk missiles within 48 hours of the incident despite conflicting reports pouring in from several sources over key details. The West has similarly imposed a variety of sanctions on Russia after determining that the Kremlin was behind the March 4 poisoning of former double-agent Sergei Skripal in Salisbury, UK. In fact, the chief scientist from the UK's Porton Down military laboratory facility, Gary Aitkenhead, told Sky News (in a statement which was later retracted) that they had been unable to prove that the novichok nerve agent used to poison Sergei and Yulia Skripal came from Russia. Considering that, according to The Telegraph, Skripal has reported ties to former MI6 agent Christopher Steele, and the UK's own chemical experts can't identify the source of the poison, further investigation is clearly warranted before slapping sanctions around. So while the UK moves to aggressively disarm their citizens - recently going on an "anti-knife" campaign, they are at the same time provoking a potentially far deadlier conflict with a nuclear superpower using flimsy evidence. Following the Syrian chemical attack, US Ambassador Nikki Haley stated "I could hold up pictures of babies lying dead next to their mothers, in their diapers, all lying together, dead, ashen blue, open eyed and lifeless, white foam bubbling from their mouths and noses" concerning the so-called chemical attack. She claimed that the use of chemical weapons in Syria is becoming "normalized." Haley added that the US "will respond" to uses of these weapons. Meanwhile, the UN Security Council met on Monday to discuss the latest developments - said Staffen de Mistura, the UN Special Envoy to Syria. "Recent developments carry more than ever before" the risks contained within the multiple "fault lines in the Middle East" that could have "absolutely devastating consequences, which are difficult to even imagine," the official said, underscoring the possibility that the crisis in Syria may spiral into a larger international security crisis. "The United Nations is unable to independently verify or attribute responsibility for this attack, but we have all parties to show utmost restraint and avoid any further escalation or confrontation," de Mistura said. In other words - let's first chat about that chemical attack before WWIII breaks out. Unsurprisingly, Russian officials say they have found no trace of chemical weapons use while searching through Syria's Douma region - and say that photos of victims posted by the White Helmets are fabrications, according to Russia's Defense Ministry. As well documented by Disobedient Media and elsewhere, the White Helmets are an organization funded by the United States which operates throughout various regions within Syria to "help" the anti-Assad effort while snapping convenient photos of Assad's alleged regime-change-worthy atrocities. 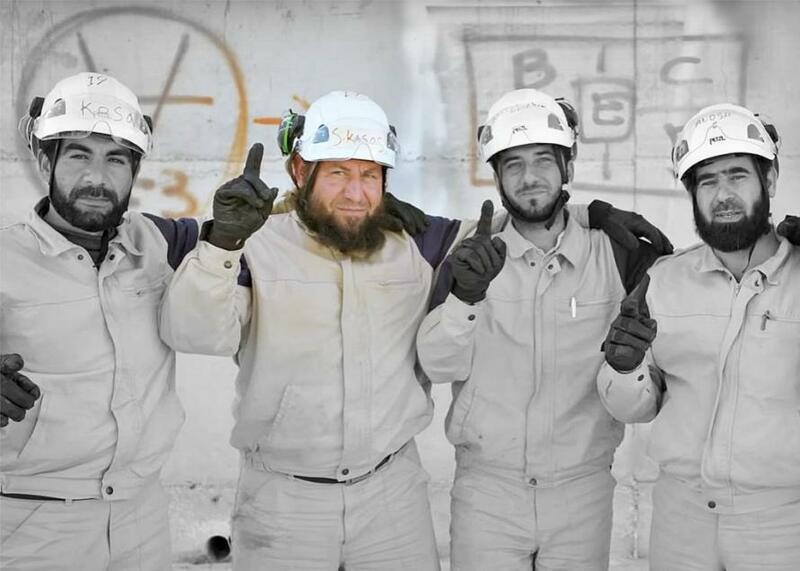 Of course, that didn't stop Netflix from producing an Academy Award winning documentary about the White Helmets. We're sure recently added board member and former Obama National Security Advisor Susan Rice is happy considering all of the taxpayer money the previous administration spent funding the group.